Missouri lawmakers continue to look at measures that make the legal climate in the state more attractive to business. Dozens of such bills were introduces last year when a Republican governor joined a GOP super-majority legislature to offer little resistance the legislation. The measures that failed to make it to the finish line in 2017 have been refiled this year and are getting early attention. One bill brought forth in the Senate Government Reform Committee limits product liability to 10 years. The proposal wouldn’t apply to real property, or when unsafe or negligent conditions are concealed. Products that carry guarantees or warranties in excess of 10 years would carry liability for the stated time frame, plus two years. 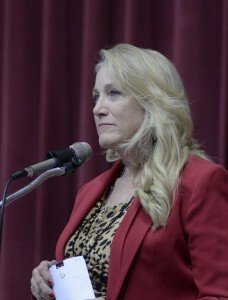 Republican Senator Jeanie Riddle of Mokane, who is sponsoring the measure, says it allows businesses to avoid baseless lawsuits that drain resources. Missouri law already requires that a product be defective when it’s sold for it to be subject to a liability lawsuit. St. Louis attorney John Simon points out most automobiles are more than 10 years old, and says the bill would open the door for foreign manufacturers to sidestep liability. During the hearing on the bill, Simon described a scenario in Rolla in which two HVAC employees got into a fender bender, triggering defective airbags which sent shards of metal into them, killing one worker and blinding the other. Simon also acknowledged that some other states have product liability limits, but noted that in the case of Illinois, the law provides an exception for negligence. Gunn represents women who’ve received medical product implants that were discovered to be defective more than 10-years later. Jeff Groves, lead counsel for Springfield based O’Reilly Auto Parts, contends the 10-year liability limit is needed to protect retailers like his, that simply sell products that are already manufactured. Attorney Kent Emison of northwest Missouri’s Lexington says the liability limit would apply to thousands of highly dangerous guardrail terminals that MoDOT no longer installs. Senator Riddle, the bill sponsor, says some tweaks will be made to address some of the concerns before it’s finalized. The Government Reform Committee Vice-Chairman, Republican Senator Dave Schatz of Sullivan, also stated their would probably tweaks made to the legislation to ensure innocent victims of defective products would still get their day in court. The committee has yet to vote on the measure.